Add a few drops of orange or lemon juice. Apply to face for 15 minutes before rinsing. DO give yourself a homemade facial once a decade. Sure, some people have the money to have it done weekly, and some people have the time to do it themselves monthly.....but for the rest of us, it's kinda nice to set aside 20 minutes once every few years to do something like this. DON'T do it while kids, husbands, wives, or even blind grandmothers are home. The first 3 are going to laugh at how you look....and the last is going to try to lick your face because it smells delicious. DO microwave the banana for 45 seconds or so if it isn't ripe. 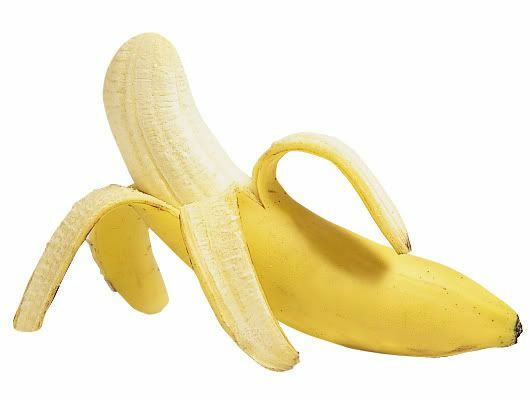 Most of us don't leave bananas lying around until they're technically 'ripe' anyway, and if we do, they're going to have gnats flying around them and we don't want to touch them anyway. Just toss it in the microwave and it'll get all mushy for you. DON'T think that you'll get by with only half a banana. I don't care how tiny your face is, it's not going to cut it because the stuff is thick and goopy. DO taste it. Yes, you're getting ready to put it on your face, but this stuff smells like fresh banana nut bread right out of the oven (after all, you just heated the banana, didn't you?). You don't have to tell anyone....just dip a finger in and enjoy the warm bananas and honey. DON'T add nuts and eat like you would banana nut bread batter. I know it's tempting, but you don't have time to make a full loaf right now. DO dry your face first. You should give it a quick wash before putting this stuff on, but if you leave your face wet, it's going to slip and slide right off your face. DON'T use that time to paint your fingernails. This is a facial...not a spa treatment. Your face is going to itch at all the wrong times and then there'll be banana goop all over the place....not to mention that your nails will be ruined. DO reuse the bowl you mixed it in to toss the globs of banana back into. You don't want that stuff stuck in your bathroom sink. DON'T eat it out of the bowl afterward. Trust me, you're going to be standing there, leaning over the sink, thinking about how you won't want to admit that you ate your facial leftovers in your blog later. Just throw it away and the world will be fine. You can make more later, 'after' you blog and won't have to think about it while blogging. DO rinse your face afterward. It's gonna be slimy, but refreshing once it's off. DON'T think that you didn't get any in your hair. You did. It just hasn't dried yet and you can't tell. Your blind grandmother will still be able to tell when she hobbles into the door. Give yourself an extra 5 minutes to find the random chunks of banana in your hair before the family gets home. It's worth it. Haha, I'd admit eating the leftovers. Well...maybe.